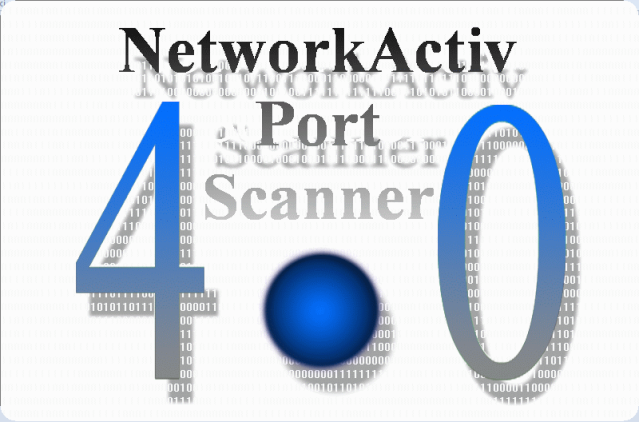 Very very very good and fast IP and port scanner. I'm not exactly sure but in setup or after installation read some instructions how to use this program. It's not complicated but it has enough options to correctly scan IP adresses and of course their ports. 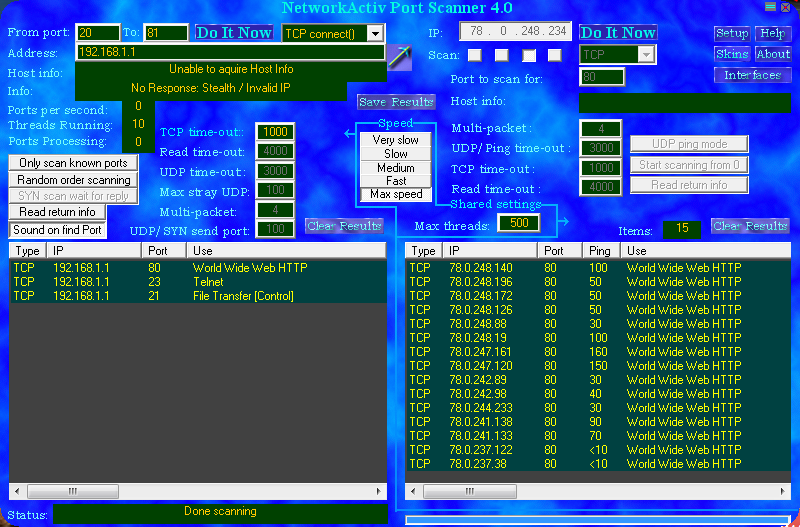 With right click on some IP or some port you may run that adress with some NET browser, some FTP client or some TELNET client. In options you even may change all of thoose aplications. 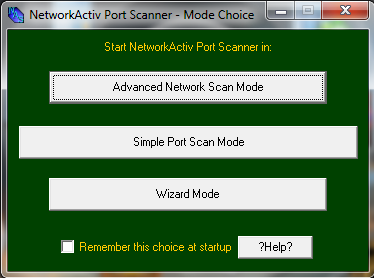 This program may scan LAN adresses & WAN addresses and their ports. So it can be used for a wide network area, not just local.